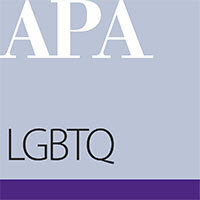 The LGBTQ and Planning Division of APA is a forum for the exchange of ideas and information of interest to the LGBTQ community and its friends in the planning profession. LGBTQ and Planning addresses planning topics and issues that relate to the LGBTQ community by providing a forum for exchanging ideas and information. The division provides a professional network for planners who are division members and a mechanism that allows friends of the division and the gay and lesbian community to support LGBTQ and Planning's mission.